Alleging that BJP was trying to take “political mileage” out of the surgical strikes across the LoC, BSP chief Mayawati on Friday said only the Army should be felicitated for its action and not the Defence Minister or the Prime Minister. “BJP’s attempt to take political mileage out of the surgical strikes ahead of the Uttar Pradesh Assembly polls should be condemned. Only the Army should be felicitated and hailed for it not any leader, the Defence Minister or the Prime Minister,” Mayawati said. She said the BJP leadership’s reported directive to its leaders and ministers not to issue statements on the surgical strikes seem to have fallen on deaf ears. “Against the instruction, hoardings, posters and statments of BJP leaders are being used to take political gain out the of force’s action. This is happening when the situation on the border is tense and terrorists are continuing their attacks. The Centre and BJP should avoid such propaganda for political gains,” the BSP supremo said. “People’s apprehensions that the BJP government headed by Narendra Modi will promote hatred, orchestrate communal riots and rake up the India-Pakistan issue ahead of the UP Assembly polls to turn the tide in its favour are proving true. It did the same before the 2014 Lok Sabha polls,” she alleged. 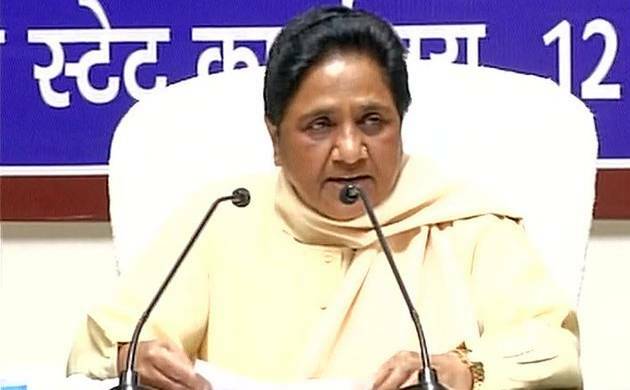 Mayawati said the Centre and the Uttar Pradesh government have gone on an “inauguration spree, which is an attempt to divert voters’ attention and confuse them”.